Swedish court sentences three Muslim men arrested for firebombing synagogue in 2017. 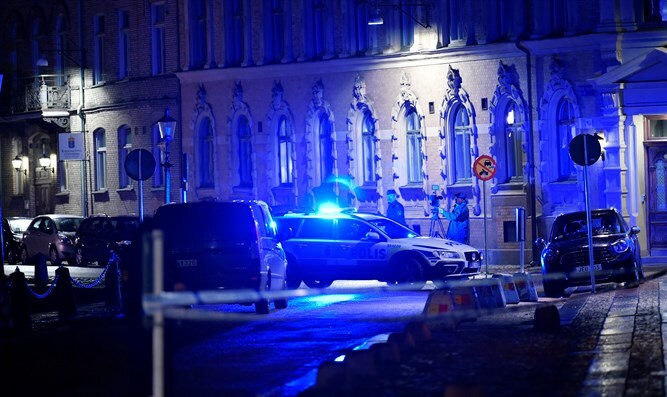 A court in Goteborg, Sweden, on Monday sentenced three men for throwing firebombs at a local synagogue in attempts to set it on fire. The arson attempt occurred in December 2017 and damaged a vehicle parked outside the synagogue. Though the firebomb-throwing mob numbered approximately 20 Muslims, only three were arrested. One of the suspects received 15 months in prison, while the others received two years. One suspect is a Palestinian Authority Arab, the second is Gazan, and the third is Syrian. The Gazan, a 22-year-old, had applied for asylum. His application was rejected and he is scheduled for deportation after the completion of his sentence. The other two suspects hold Swedish residency permits.